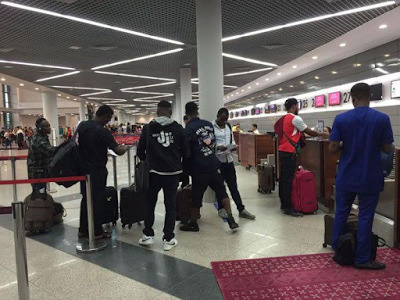 In cooperation with the Department Gate 1 and Gate Post Phnom Penh International Airport, the Cambodian Department of Investigation and Procedures have expelled 10 Nigerians. 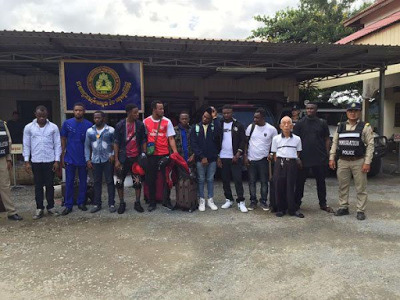 A total of 10 Nigerian nationals living and working in Cambodia without valid visas and passports, including one Korean have been deported on Thursday, May 18. The Department of Investigation and Procedures in co-operation with the Department Gate 1 and Gate Post Phnom Penh International Airport, expelled Nigerians and the Korean. 1. 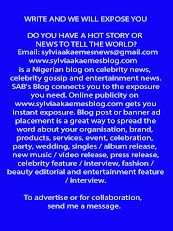 SALAKO OLORUNJUEDALO AYODEJI Nigerian male, born on May 7, 1994, passport number XXXXXX0558 stealing illegal stay visa (over limit) expelled from the country for 3 years. 3 CHIFE ONYEKACHUKWU Simon Nigerian male, born on May 22, 1985, passport number A XXXXX00094 stealing passports illegally staying (not sealed) from the Kingdom of Cambodia Gate Phnom Penh International Airport flight PG 934 at 15 and 45 minutes from Phnom Penh to the country of origin. 4. Godwin VICTOR IKENNA Nigerian male, born on 22 October 1993, passport number A XXXXXX17452 conceals criminal conspiracy offense. 5. UTITI CHIMARAOKE NWABUGO Nigerian male, born on 6 June 1986, the passport number XXXXX1917 conceals criminal conspiracy offense. 6. MacDonald Dike CHIDUBEM Nigerian male, born Sept. 18, 1994, passport number XXXXXX02619 stealing illegal stay visa (over limit). 7. AMADI Augustine CHINEDU Nigerian male, born on 13 October 1993, passport number XXXXXX5118 has been found stealing illegal residency (passport). 9. OKOYE Cornerback SUNDAY, Nigerian male, born March 2, 1991, passport number A XXXXXX98031 stealing passports illegally staying (not sealed). 10. 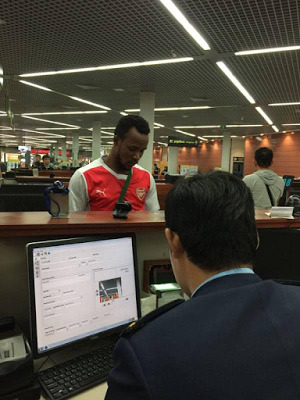 CHUKWUZOR CHINEDU Kennedy, Nigerian male, born June 16, 1992, passport number XXXXXX51358 stealing passports illegally staying (not sealed) from the Kingdom of Cambodia Gate Phnom Penh International Airport Flight QR 971 at 17 and 30 minutes from Phnom Penh to the country of origin. 11. KWEON KIWOOK, Korean male born on 23 November 1947 letter to travel XXXXXX170042 stealing staying illegally (without a passport) from the Kingdom of Cambodia Gate Phnom Penh International Airport flight OZ 740 at 23 and 55 minutes from Phnom Penh to the country.